Excellent constant damping force control performance. Excellent Favourite X ooth Operation. 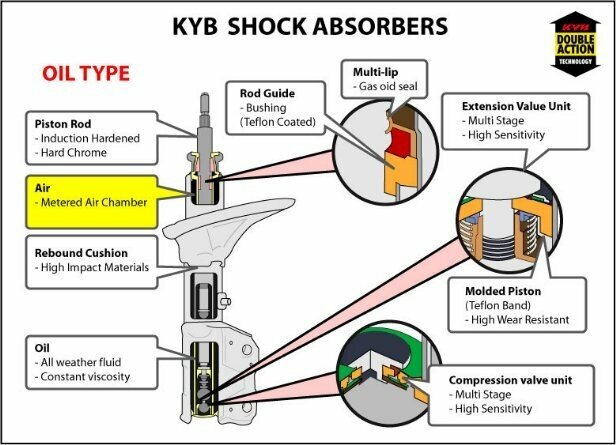 Where are Shock Absorbers Located? KYB’? ?s proven technological strength supports the development of new products and advanced design leading to extraordinary performance standards that are able to enhance the reputation and reliability of cars and motorcycles. Emulating KYB Japan’s leadership in that market, KYB-UMW Malaysia leads the market with the latest available OEM technology to meet the ever increasing demands of our global market. 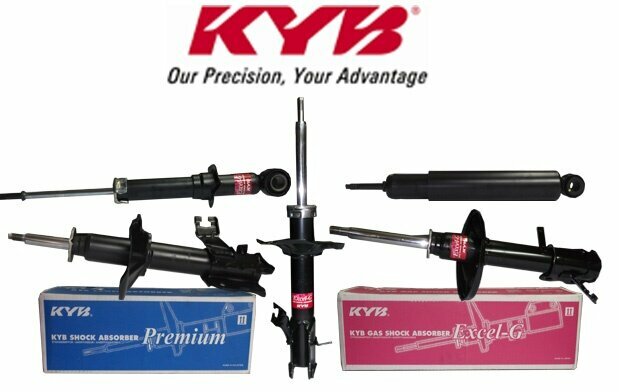 As the market leader in both OEM and REM, KYB-UMW Malaysia takes pride in ensuring that our shock absorbers are of high precision and superior performance. A pioneer in Asean, this company is equipped with high tech machinery, advanced technology from Japan and highly professional multi-skilled workers trained by KYB Japan. KYB-UMW Steering Malaysia Sdn Bhd has a proven track record, supplying high quality total Power Steering System to the market. In order to provide a comfortable ride, we make use of state of the art technology and our products are 100% tested.